Rumors -- so not verified -- has it that Axl is in Vancouver with AC/DC now, recording a new record. 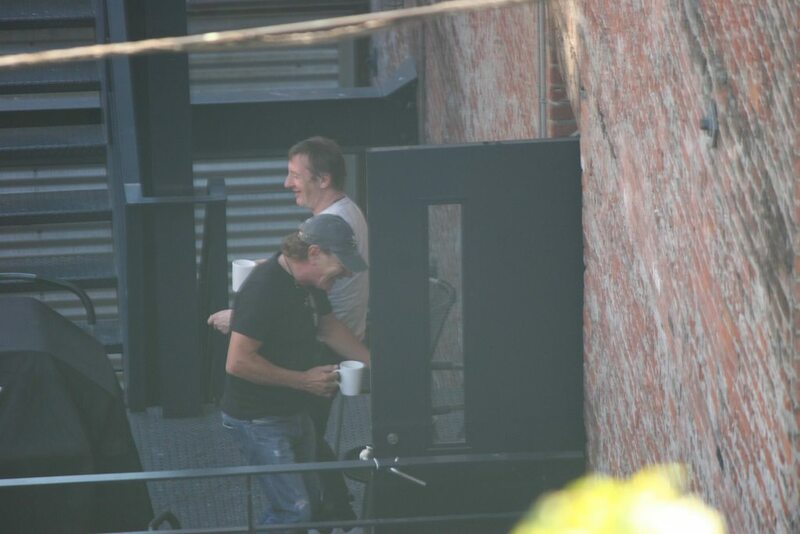 Axl hasn't been spotted in Vancouver (yet), but there are more sightings of Phil Rudd (reported on the AC/DC fan forum by members who live in Vancouver). Rumour has it now that Brian is in Vancouver, and that AC/DC will set out on a small farewell tour with Brian as the singer. Here's an article, explaining who took the photo. Chris Slade wrote: Angus [Young, guitar] was running around like a schoolboy, you know?! It did reinvigorate the band. Brian is great, as we all know; he’s a great personality and a great guy. Because I’d only ever heard that Guns N’ Roses voice, but all great singers, they can change the timbre of their voice, and wow, he hit notes that dogs can only hear. It was unbelievable! I thought he did an amazing job. I could hear him very clearly because I use in-ear monitors, and it’s the best I’ve ever heard the band.